Happy Monday everyone.. hope you all had a beautiful weekend. So i decided that since we are now in spring...( yes spring.. it might not feel like it; what with the snow and rain and general greyness, but we are in spring), i would treat myself to some spring coloured lipsticks. Now, i brought Up The Amp about a year ago but lost it and so when i went into the MAC store and saw this i wondered why i had not repurchased straight away. I love it so much. It is a lavender violet amplified creme and you can alter the colour with a liner or lipgloss to make it lighter or darker. Plus its perfect for different complexions. 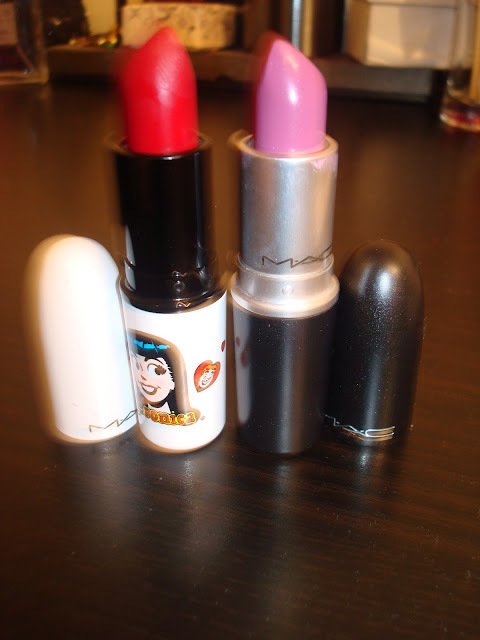 Next i wanted to try something from MAC Archie's Girls Collection and when i saw this red i fell in love. Its called Ronnie red though i think that it looks more like raspberry colour or the like a vintage red. This lipstick lasts all day!! I wore it to my birthday dinner here and i only applied it at the beginning of the night and i didnt have to reapply at all! It is a matte lipstick and you would be forgiven if you thought it might be drying but nope.. its just a little harder to apply but once on it stays put. If you havent already then go get it because it is limited edition and it could sell out soon! 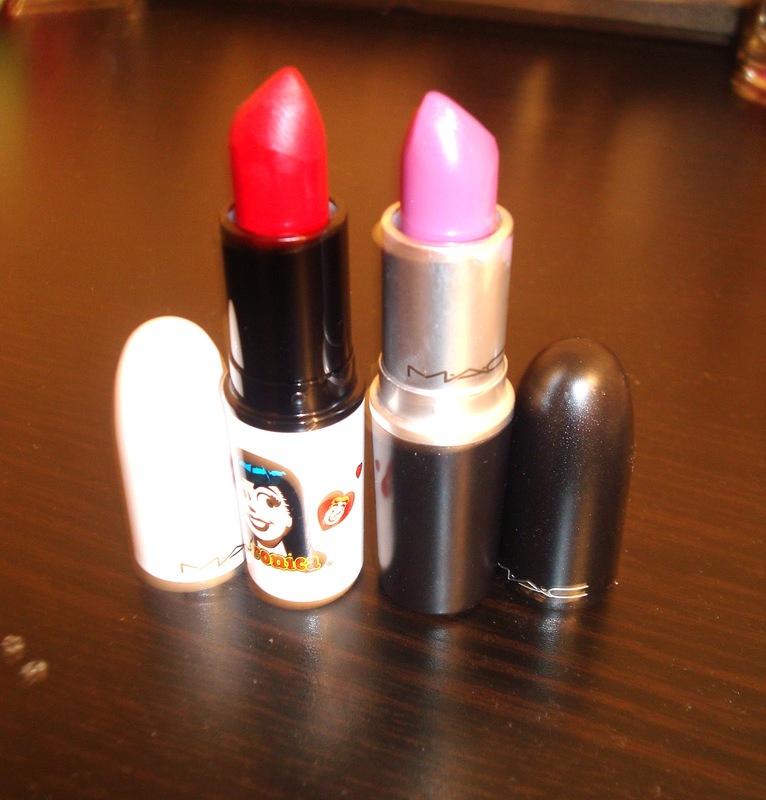 what new lipstick have u guys brought recently? I am lusting after that bubblegum pink shade...<3 MAC! Love your blog! :) Follow me back if you'd like! wow, i really like that red one.